Join us for a celebration of the work of the 2017 WMHT American Graduate Champions. Hear more about their inspiring work that demonstrates that anytime is learning time, and get a deeper look into the lives of our neighbors and friends. The event will be filmed. Learn more by visiting wmht.org/amgrad. Watch American Graduate Day, Saturday, October 14th from 2 - 6pm on WMHT. 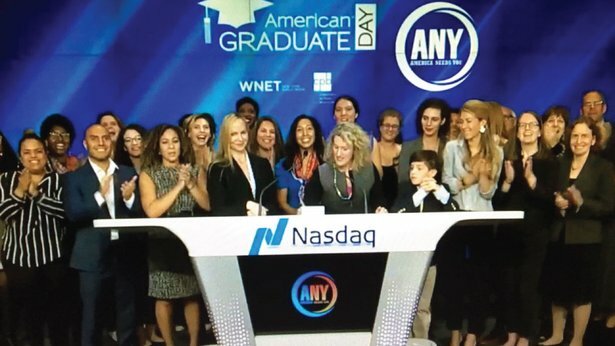 Jenn Baumstein, WMHT’s Director of Community Engagement, was invited to the NASDAQ closing bell celebration on Friday, October 13th, the day before American Graduate Day. She joined staff from WNET / THIRTEEN, CPB, and America Needs You on stage after Kimberly A. Harris a co-founder and the CEO of America Needs You (ANY), a national nonprofit that fights for economic mobility for ambitious first-generation college students, through transformative mentorship and intensive career development, spoke about their work. Watch ANY and the full American Graduate Broadcast online here. American Graduate: Let's Make it Happen is public media's long-term commitment to supporting community-based solutions to help young people succeed in school and life. Supported by the Corporation for Public Broadcasting (CPB), more than 100 public television and radio stations have joined forces with over 1,700 partners across 49 states to elevate the stories of youth and the supportive adults that help them succeed. Through American Graduate, public media, with its unique position as a trusted resource and important partner in local communities, provides a critical platform to shine a light on pathways to graduation and successful student outcomes. 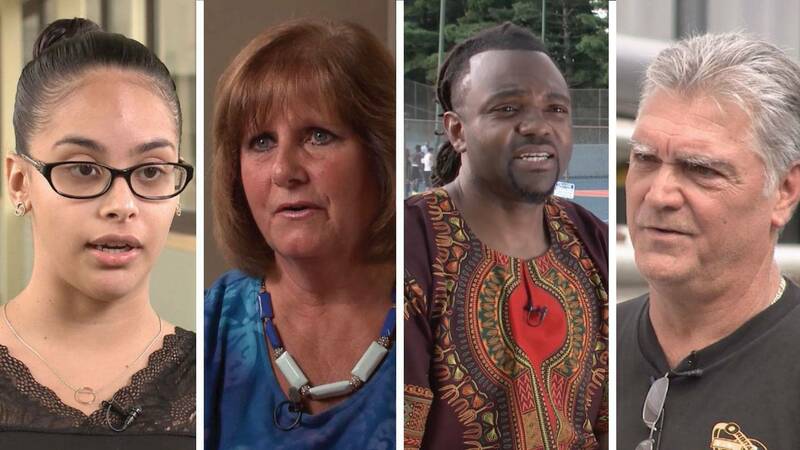 National and local reporting, both on air and online is helping communities understand the challenges and community-driven solutions associated with the dropout crisis. Public forums, town halls, and community conversations are activating discussions between community leaders, educators, and more.